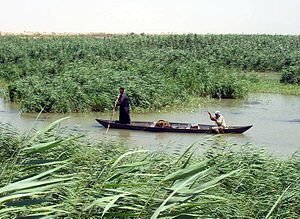 I Am Yahweh, the celebrated God, as humankind first called me in the fertile land of the Euphrates, known as the troubled Middle East today. Please do not think of the land as troubled for that is holding the grid of political aggression and confusion in place. Think of that part of the earth in its original holiness – the birthplace of many of your religions. There was a time when religion served – how else did mankind even hear the word God or even the notion of holiness? Yes, religion from this time was a solid foundation and a strong root that is still holding together a matrix of faith and hope for the masses. See the political unrest as just a spider within a web within the tree – one that can be swiped out with a single stroke. As you change your opinion and mind set about this part of the world, the hornet’s nest will begin to find peace and harmony. Work with us now to SEE with new eyes this part of the world and let the change and transformation be physically evident. We need the lightworkers to unite for this melting of men’s hearts to enter this pivotal time of planetary adjustment. See the hornet’s nest now as a peaceful bee hive kingdom with honey production high and with a high resonant buzz. Welcome to the New Middle East.